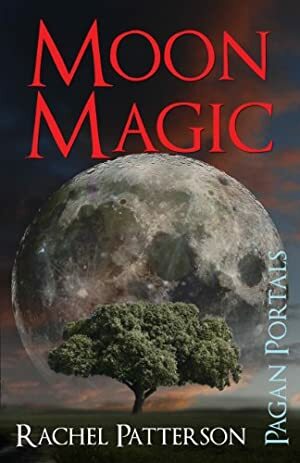 Moon Magic is an introduction to working with the phases of the Moon, what they are and how to live in harmony with the lunar year and to utilize all the magical powers it provides. It's filled with the basics of the lunar cycle, the representations and correspondences of each phase, what magic to work and when and also includes a look at the lunar year, moon deities, moon spells, meditations, specific moon rituals, moon names, tree moons and moon recipes. Log In to track Rachel Patterson on eReaderIQ. to be notified each time the price drops on any book by Rachel Patterson. to stop tracking Rachel Patterson. We started tracking this book on February 25, 2014. The price of this book has changed 45 times in the past 1,885 days. The current price of this book is $2.80 last checked one day ago. The lowest price to date was $0.99 last reached on February 25, 2014. The highest price to date was $5.99 last reached on April 16, 2018. We last verified the price of this book about one day ago. At that time, the price was $2.80. This price is subject to change. The price displayed on the Amazon.com website at the time of purchase is the price you will pay for this book. Please confirm the price before making any purchases.